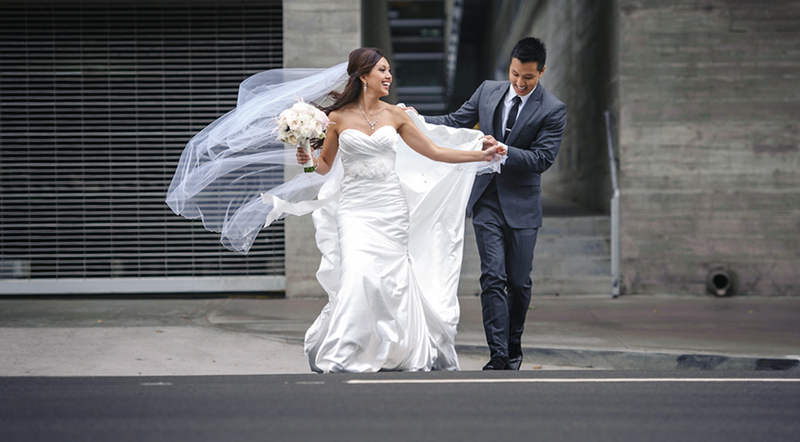 Joyce and James put together a fabulous wedding at the St. Pius Catholic Church in Buena Park and the Radisson in Newport Beach. With the help of the ultra-organized wedding planner, Lisa Simpson from Wedding Celebrations in Orange County, and their team of experienced vendors, the wedding day went off without a hitch! 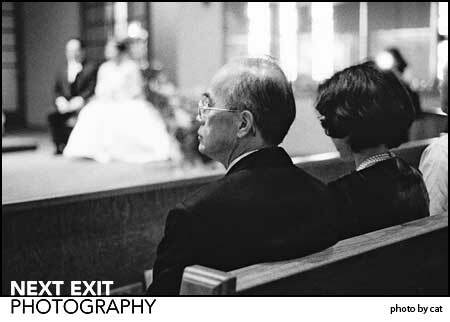 Joyce and James are the 5th of six couples who know each other and have used Next Exit Photography as their wedding photographers. What an honor! We love being a part of this family of friends and look forward to every time we get to work with them! We really enjoyed working again with the videographers at Lightbox Digital and also with the girls at Design Visage who did the bridal hair and make-up. The bouquets and centerpieces were stunning from Karen’s Flowers. aida - I love Joyce and James! It was the most fun I’ve ever had at a wedding. Can’t wait to see the rest of the photos! post-shoot treat, so regretfully, I have been dreaming about them ever since. Congrats to Next Exit favorites Nanette and Brent for being selected as the wedding bio of the week on Wedding Bee, an unbelievably super duper cool wedding blog out of New York City. Make sure to check it out for up to date wedding planning inspiration! 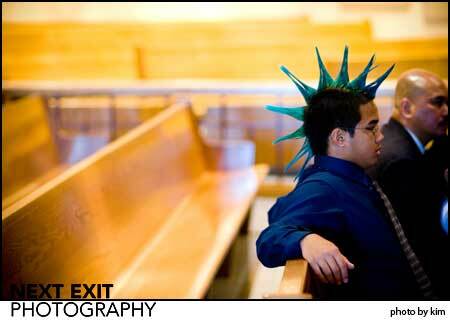 Adi and I are NYaholics, so hopefully, N&B’s wedding pictures on the Wedding Bee Blog (photographer:Next Exit Photography) will garner some attention for us, and you NYers will be bringing us out to shoot your wedding! My little bro, Jeff (age 28, not yet married, adorable and hard working) lives in the Village. So, no accommodations are necessary! One thing I love about Chinese weddings (besides the food!) is the incredible sense of family and tradition. After spending 14 hours photographing Thao and Nathan’s wedding day, I really felt like I got an incredible insider’s view into their warm and bubbly personalities. You can tell from the pictures that we had such a blast together. Two tea ceremonies, several sets of formals photo sessions, a traditional outdoor garden ceremony at the Kindred Community Church in Anaheim, In-And-Out Burgers, Cold Stone Creamery, and then, you guessed it, a 10-course sit down formal dinner and reception at the Crowne Plaze Anaheim Resort. I felt so honored to be part of their incredible day. You’d never have guessed that Thao was recovering from a viscous cough and cold because she was so much fun all the day through! She and Nathan make a perfect team. Stacey originally met with Next Exit Photography in March ’05. We hit it off immediately. She stressed to us the importance of fabulous wedding photography on her day. When we didn’t hear back from her in the following weeks, we thought she had gone with somebody else. Fast-forward to February ’06 and my phone rings. “It’s Stacey. Do you still have our wedding date available? We want YOU!” Thankfully, we still had a few gaps in our season and they signed with us! The location, Los Angeles River Center, we know oh so well. 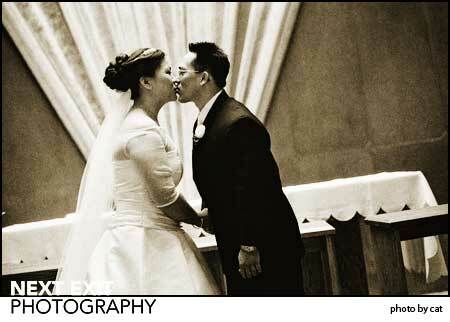 See Nanette and Brent’s photos of this stunning location. Cruising the 3rd Street Promenade with Stacey and Ronald was a blast. They wanted urban style engagement pictures, so we spent most of our time in a surprisingly clean alley! They are too cute! Rosie - Love them!!! They are to cute! Looks like we’ll be working together for their wedding! Isn’t Duke the most adorable dog ever? He’s going to be the ring bearer at Lauren’s and Eddie’s wedding at Firestone Vineyard this fall! Next Exit Pet Portraits now available at our place or yours! Nanette - That’s the cutest dog EVER! WeezerMonkey - OMG! Major cuteness! Star1079 - Major Puppy Love! Senor - LOOK HE IS A STAR!!! maw - forget the dawg, that couple is gorgeous!! JSue - LOL!!!! LOVE it!! !